This workshop aims at identifying the roles that participatory design could play in the design of Artificially Intelligent systems. 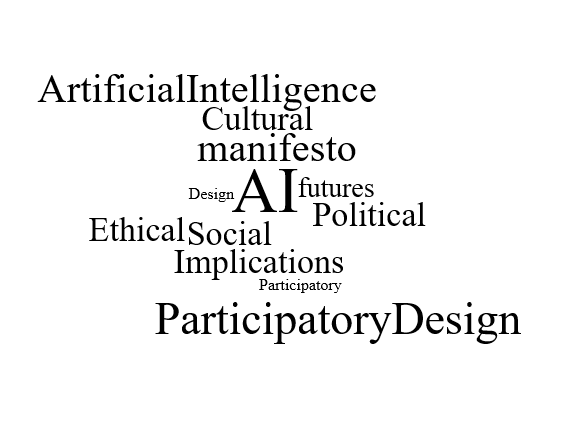 The workshop provides a reflective and hands-on context to debate, prototype, and develop the place of participatory design in the creation of AI and intelligent systems. While AI will increasingly populate the global landscape, there are a number of unaddressed social, behavioral, political, decisional, and moral questions. AI systems are in desperate need for ethical and design guidelines. While AI has greatly evolved from a technical point of view, it is in its infancy as far as ethics and design process goes. The challenge of AI is, therefore, not only a technical one, it is first and foremost a social, cultural, political, and ethical one. This workshop is intended for practitioners and researchers interested in exploring PD approaches, tools and guidelines that should ground the design of intelligent systems.